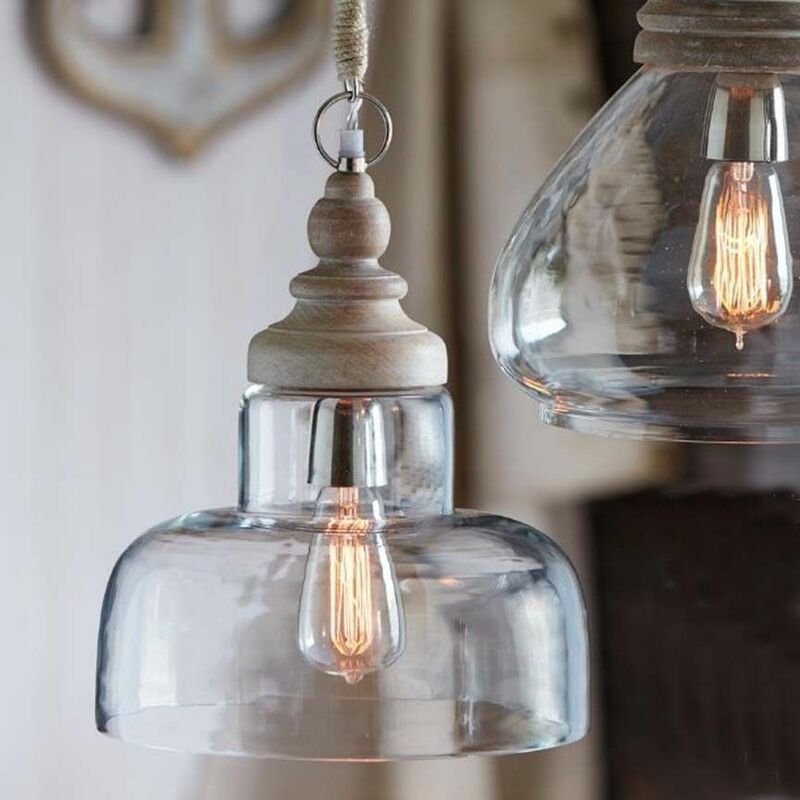 A stylish pendant that combines a carved wood top with a curvaceous glass globe. Its style has never met a decor stranger! May be plugged in but comes with a hard wire kit if that is your preference. A bit over a foot tall. Dimensions: 11.25"w x 11.25"d x 12.5"
Contains: 60W Max. Plug-in with Hard Wire Kit Included.